Home › Extracurricular Activities › A Law Student’s Fresh-Air Gym Alternative: Hiking! Bear Mountain, ready to be climbed. Studying at NYU has indeed been a lot of fun so far. But for me, as a student coming from abroad, it is also interesting to discover New York and places nearby. 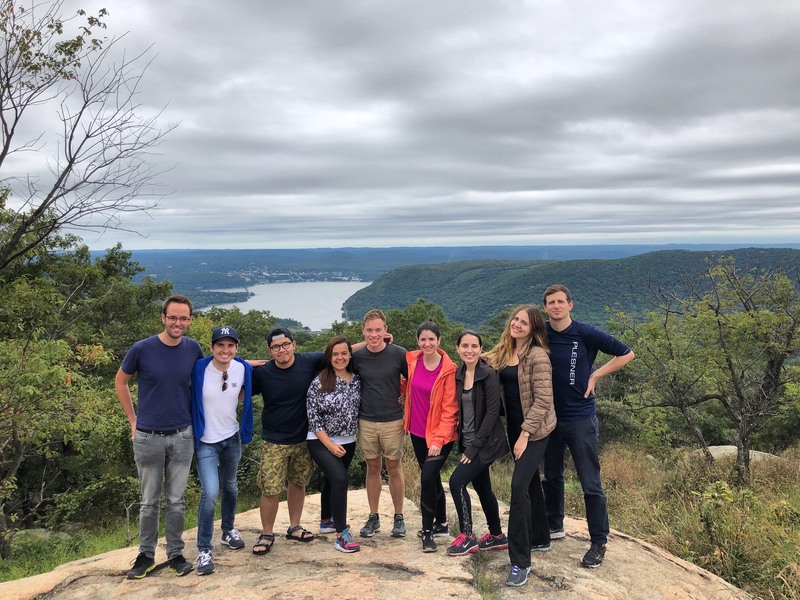 And one of the advantages of being a part of the LLM student community is that when somebody gets an idea to travel somewhere or do something fun, you can just say, “I’m in,” and have a great plan for the weekend. Enjoying the view midway up. I’ve always loved hiking. Despite the fact that it can be extremely challenging, at the same time there is nothing compared with the feeling you have when you are at the top, where the air is so fresh and the views are incredible. You feel extremely proud of yourself for not giving up halfway. Apparently, that’s also exactly the feeling you have when you finally get your law degree. So what do you need to go hiking? Vantage point from the top. First, you have to find an easily reachable spot, if you want to escape from the city for one day and get back to the library on Sunday. 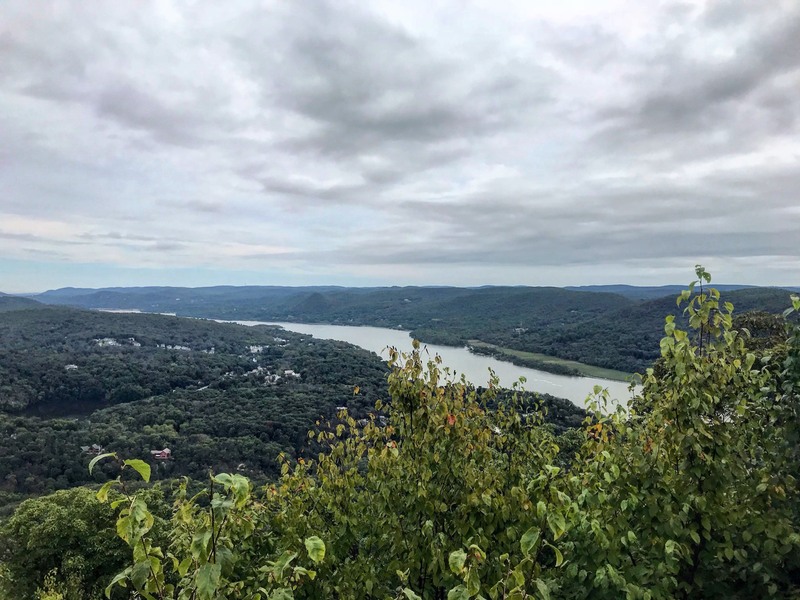 We chose Bear Mountain and booked our bus tickets online (the bus departs from Port Authority Bus Terminal every two hours, and the trip takes about one and a half hours each way). Second, don’t forget to download the maps and the bus schedule in advance, as it is quite likely that your phone won’t catch the network there. And finally, prepare for the trip itself! 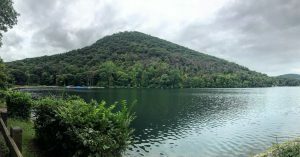 Remember that the climb can be quite steep and rocky (for example, the incline of Bear Mountain is graded 8 out of 10, which means that it is suitable only for those in good physical shape), so it is better to have your sneakers and sports clothing on. Also, don’t forget to take your lunch with you, as you will need to refuel at the top! Get ready to enjoy the views and the moment of unity with nature. At the top with my team. 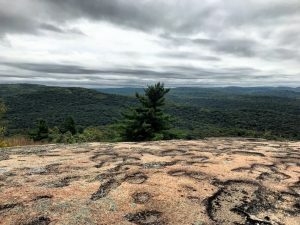 My final advice: don’t do the hike alone. It is important to have a reliable team by your side who would support you in a difficult moment and prevent you from falling if you stumble. They will also encourage you to keep going when the path gets hard. Have a fun time while climbing your own Everest! 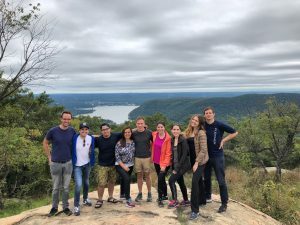 This entry was written by Olena Botshteyn LLM '19 and posted on October 29, 2018. Olena, an LLM student from Ukraine, is passionate about public international law. Before coming to NYU, she interned in the Sustainable Energy department of the UN Economic Commission for Europe in Geneva, Switzerland. She also worked as a junior associate in the corporate law practice at Everlegal law firm in Kyiv, Ukraine. Apart from blogging for NYU Law, Olena loves singing and is a member of NYU Chorale. In her free time, she enjoys hiking, skiing, and playing the piano.